I have been lucky enough to live in Kailua, on Oahu’s Windward Coast for the last two and a half years. 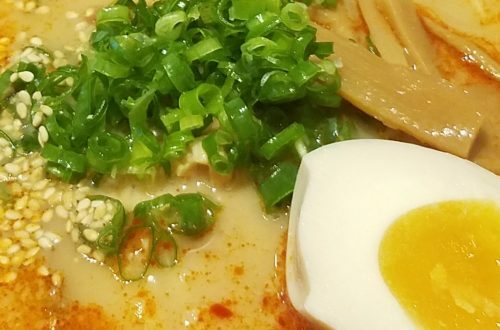 In those two and a half years my husband and I have been able to seek out and test many of the breakfast options this side of the island has to offer and there are three locations my husband and I keep returning to over and over again. Boots & Kimo’s is hands down one of my favorite breakfast places, not just on Oahu, but anywhere! They are known for their delicious Mac Nut Pancakes, fluffy buttermilk pancakes topped with a creamy rich macadamia nut sauce. 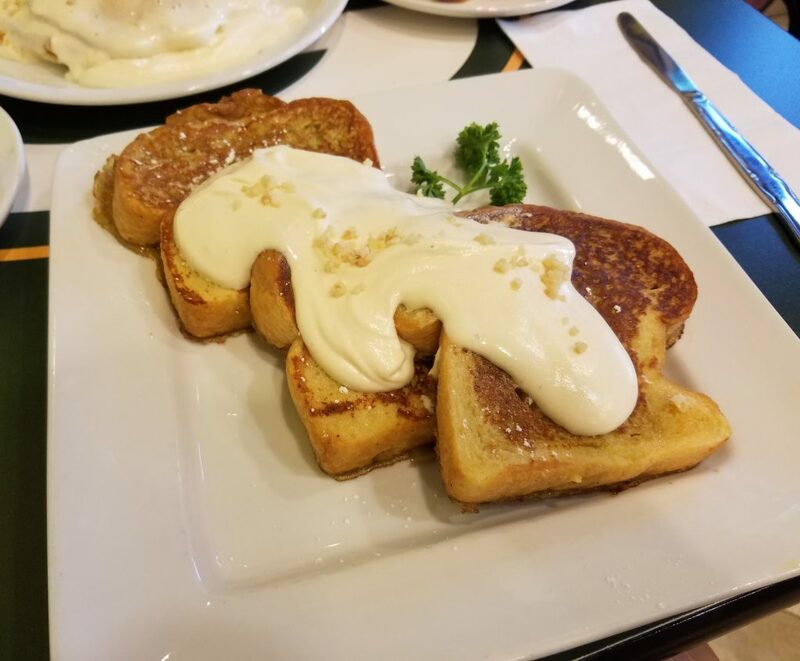 I am personally obsessed with their Mac Nut French Toast, perfectly cooked french toast topped with their amazing macadamia nut sauce. And on days where I’m feeling a bit indulgent, I will throw in an order of their Portuguese sausage or Kalbi Ribs…mmmmm. One thing to keep in mind, and the main reason I haven’t made it into Boots & Kimo’s as much as I would like, is they are cash only. Also, the wait time and line here can get pretty long so try to arrive early. 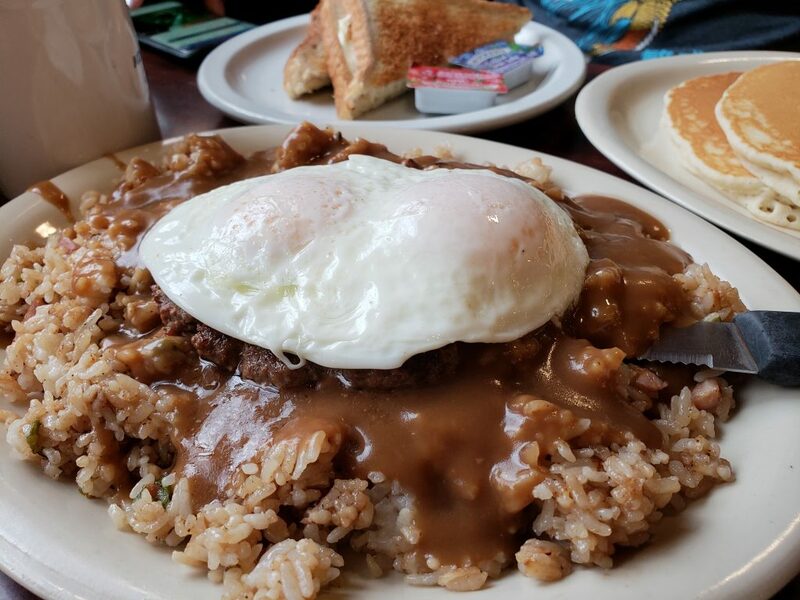 Kaneohe Pancake House is located one town over from us and about a 15 minute drive from where we lived, but my husband is absolutely crazy about their fried rice loco moco, probably one of the best we have ever had. They also have an amazing strawberry whip cream waffle, a light and crispy waffle topped with a generous serving of strawberries and whipped cream. 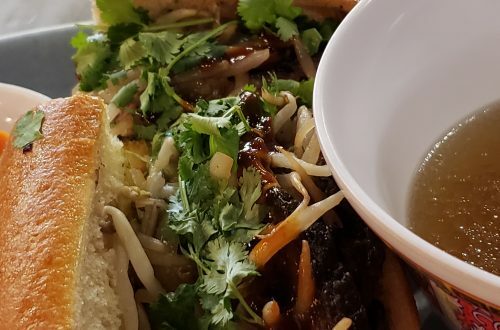 Some of the other things we have enjoyed here include their eggs benedict, traditional buttermilk pancakes, Kalbi ribs, and a few of their omelets. I must admit, the first time my husband and I am came here, just a few weeks after I moved to Oahu, we were not impressed. We felt like the food was ok, but the lines were too long and the prices too steep. Because of that we didn’t go back, for almost a year, and it was the biggest mistake we ever made. Kaneohe Pancake House has amazing food, well worth the wait, excellent service and prices comparable to everywhere else in the island, we just hadn’t realized that yet. 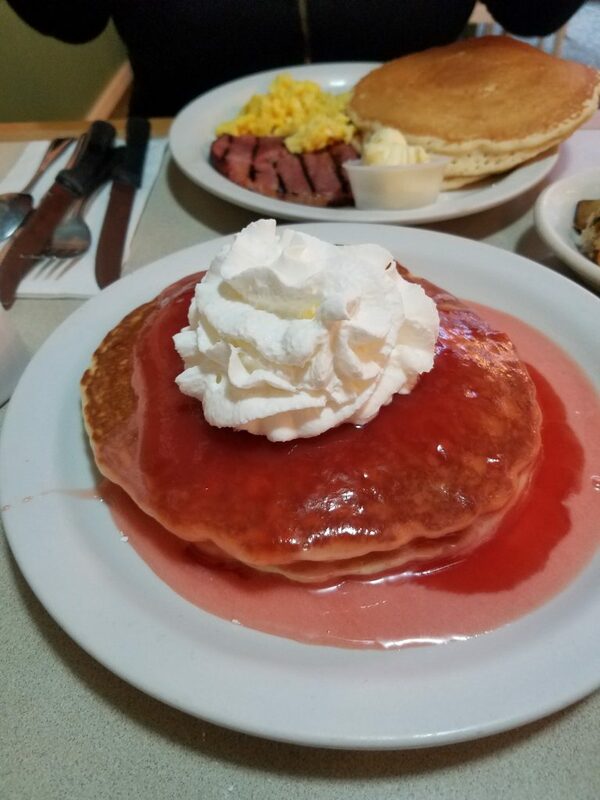 One thing to keep in mind when visiting Kaneohe Pancake House is their parking is limited, keep your eyes peeled for street parking and be prepared for a potential wait. Due to its proximity to our home, massive menu, fun dishes, and appealing ambiance, my husband and I have eaten at Cinnamon’s for breakfast more than any other place on this island. They offer a huge variety of pancakes, waffles, french toast, omelets, and other traditional breakfast dishes. They have a specialty breakfast menu that is constantly changing and offer a decent lunch menu in the afternoon. They are known for their guava chiffon pancakes, red velvet pancakes (a personal favorite of mine), and, in my personal opinion, have one of the best traditional loco moco on the island. They also have a really good eggs benedict, and for a fun local twist, they offer a version with kalua pork and sweet potato (It is really good!). Some other things we have enjoyed from there include their custom omelets, banana pancakes, sweet bread french toast, and for lunch, I am a huge fan of their roast beef dip. As I said, you can’t go wrong with really anything on their menu. Manoa Chocolate Hawaii, gives you a chance to sample local chocolates while you wait. 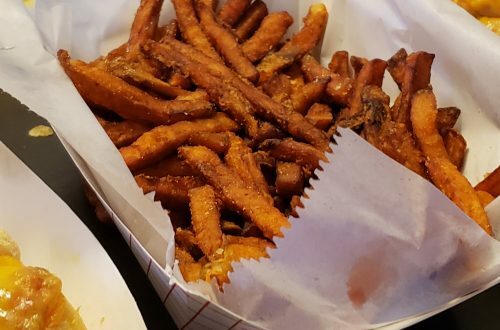 Cinnamon’s offers both indoor and outdoor seating options and, for the Harry Potter fans, come around Halloween time and you can see the entire restaurant and staff dressed up like characters and other features of the books.